Maine Rockwood Roo RV Dealer. We offer a large selection of Rockwood Roo Campers at our Augusta, Maine dealership. Rockwood Roo Campers are manufactured by Forest River and can be seen any time at our location. You can buy a new Rockwood Roo RV from any RV dealership but J&M Camper is your local Maine dealer with service after the sale. . If you don’t see the RV you are looking for we can custom order one for you today. Our dealership receives new Rockwood Roo Campers daily. If you don’t see the RV you are looking for, contact us and we will be happy to custom order one for you and your family. 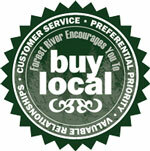 Purchasing locally allows customers to establish meaningful relationship with dealers. 1) Forest River, Inc. dealers are independently owned and operated businesses so priority service and scheduling is at their discretion and is often provided to customers that purchased their unit at that dealership. 2) Purchasing locally allows customers to establish meaningful relationships with a dealer, enhancing the RV experience through assistance with product questions, user tips or RV regulations for your state or country, and much more! 3) Scheduling timely warranty repairs and adjustments through a local dealership provides far greater flexibility and convenience to you, the customer!